You don’t seem to pay much attention to the heating and cooling in your home when it is doing its job. The AC is crisp and cool, and when the heat kicks on, you know it is time to snuggle up to a new book. But, in the doom and gloom of it not functioning, it can disturb your entire day (or night). It is important for a homeowner to realize that your HVAC system has an expiration, and it will not always run at its peak performance. As they age, these systems become less efficient, which means they are wasting more energy and leaving you to spend more on utilities each month. 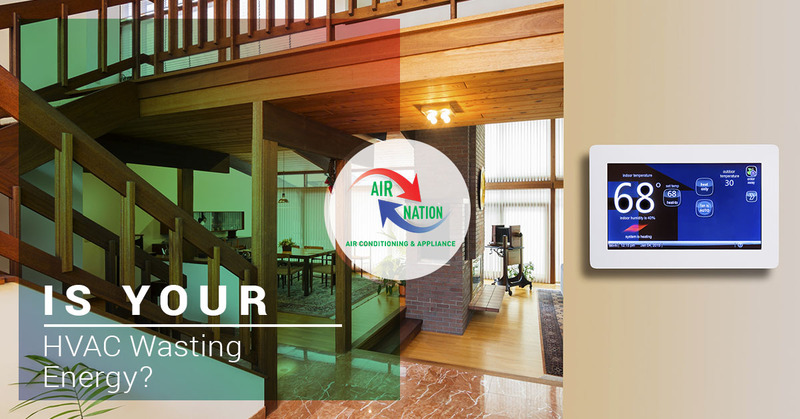 Stay efficient and work with us at Air Nation to ensure your home’s heating and cooling system is in excellent shape before the cold weather sets in. Learn how to spot energy inefficiency in your home in today’s post. Energy efficiency plays an intricate part in what your monthly utility bill will look like, and since most people like to save money, keeping your HVAC serviced will only help you do so. There are tell-tale signs that your HVAC is wasting energy; read more about them below. This is one of the sure signs that your HVAC is wasting energy. With higher bills, you know your system is having to work harder to heat and cool your home. You can always investigate further to see if your utility company increased its rates or if you set your thermoset improperly, but if it has skyrocketed, it is probably the system. You may not notice your system running all the time but once you pay attention, it may shock you — along with your utility bill. If your heating and cooling are set at specific temperatures for your comfort and slog to keep up with the task, this renders a lot of wasted energy. Perhaps your system isn’t large enough to be efficient, or if you have added on to your home, maybe it has a hard time with the additional space. An annual checkup is a great time to have the HVAC system inspected for its energy efficiency to save on your monthly bills. You can also increase your home’s energy efficiency by doing small things, which you can read more about here. If you notice that one side of your home is nice and toasty warm, while in the other side, you can see your breath — it is not likely supernatural or a ghost trying to get your attention, but faulty ductwork. 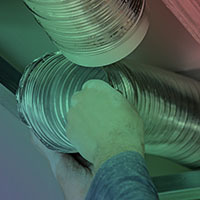 The air ducts are what move the air from room to room, and if they are clogged or dirty, this reduces their efficiency. This translates to your HVAC system trying to keep up with the set temperature, which can increase its overall running time. Florida is known for its humid and hot weather, but your indoor environment should not be as humid. If you are feeling sweaty and sticky, even in the AC, it could indicate an issue with the evaporator coils. When the humidity is high indoors it places stress on the HVAC causing it to work harder and guzzle energy. A conventional HVAC system has one temperature setting to either heat or cool the whole house. You can run into issues as the temperature can fluctuate and cause the discomfort of being too hot or cold. To mitigate this issue, you can better target the temperature of each room by opening or closing the vents and closing doors. There is no need to control the temperature in your unused guest room, so close it off as much as you can. Not only will your home run more efficiently, but you’ll also likely save money because you are not heating or cooling the entire space. If your HVAC system is more than 10 years old, it may become sluggish and start having issues keeping up, causing efficiency issues. The EPA recommends installing a new HVAC unit every 10 years, as they become more energy efficient — this upgrade may save you money and keep your home environment comfortable. There are many signs your HVAC is wasting energy, what is yours saying? To schedule an HVAC service, contact us today!